Although to many ‘smuggling’ has a secretive connotation, between Benin and Nigeria it happens openly. 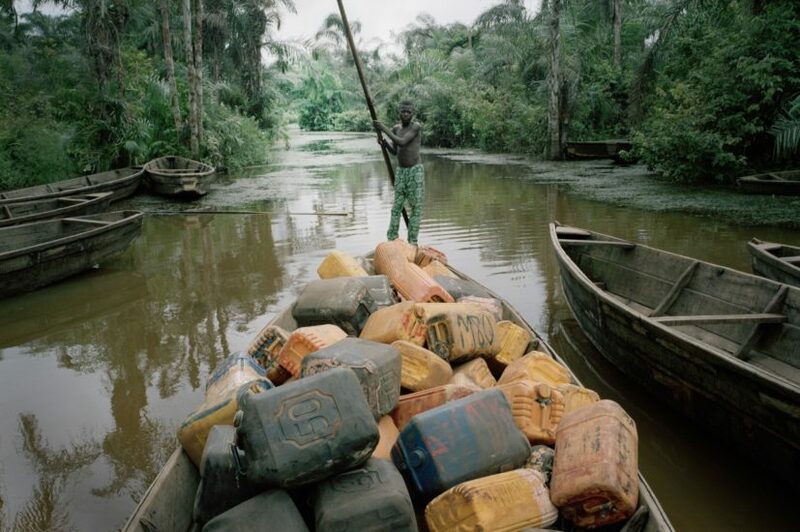 Illicit trade, encouraged by tax differences between the two countries, is considered an absolute necessity by the inhabitants of Benin. Even the police turn a blind eye to it. In his Borderlands series, Leonce Raphael Agbodjelou (b. 1965) portrays these smugglers and their goods in striking, large-size photographs, currently on show at Jack Bell Gallery, London. 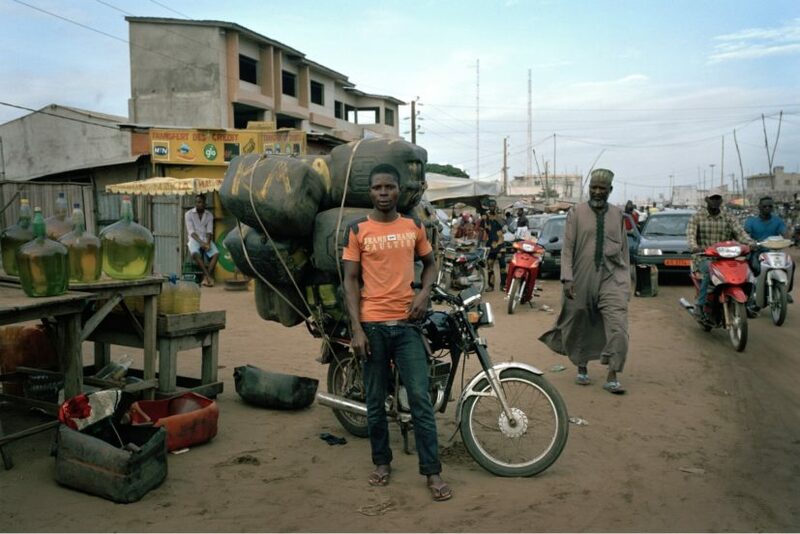 Agbodjelou not only records the illegal trade in the countries’ border regions but also explores the experiences of a population living in a time of tension between the country’s traditions on the one hand, and innovation and progress on the other. The subjects pose in front of Agbodjelou’s camera and form the focal point of the compositions. 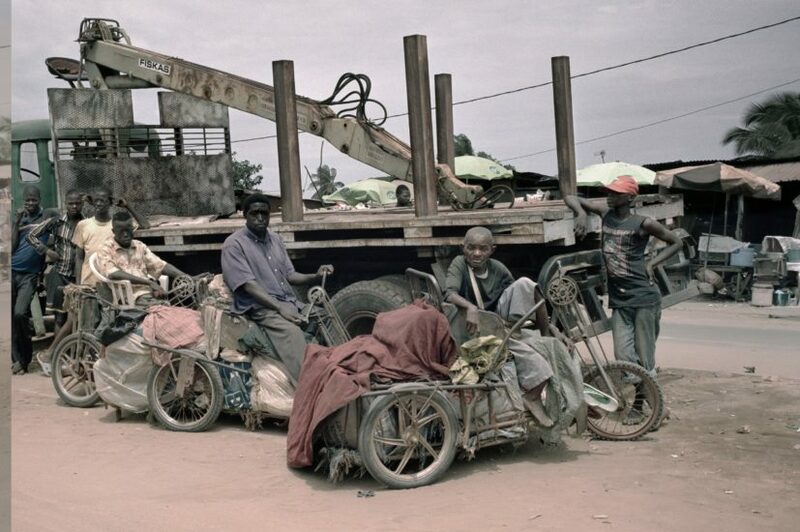 They are accompanied by ‘attributes’, their cargos, varying from oil and car-parts to tomatoes, and their vehicle, such as a boat, car or motorbike. Particularly interesting are the photographs of the polio-disabled traders, who have built customised bicycle carts to carry both themselves and their goods. The surroundings of the portrayed – from dusty and hectic cityscape to peaceful, green jungles – are nearly as important. While the environments make the compositions less static, they also contextualise the subjects, allowing the viewer to better comprehend the bigger picture. Shot in natural light with a 6×9, a camera nowadays rarely used but offering intense detail, the portraits are of fantastic quality and appear lifelike. Generally, Agbodjelou’s practice belongs to the tradition of photographic portraiture, which largely expanded in West Africa throughout the latter half of the 20th century. 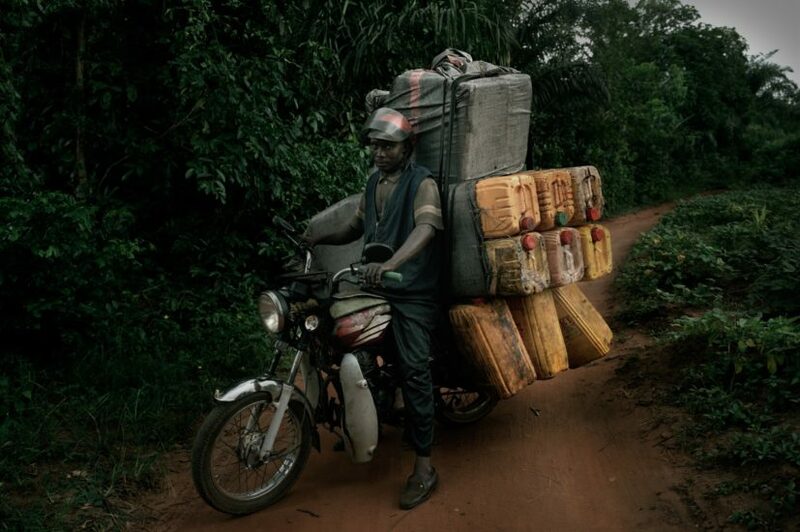 However, Borderlands also seems to tap into the discipline of documentary photography; while portraying individual smugglers, Agbodjelou also records a practice characteristic for Benin at a certain point in history. Borderlands could remind you of Romuald Hazoumè’s works that were shown in the Made in Porto-Novo exhibition in October Gallery, London in 2009. 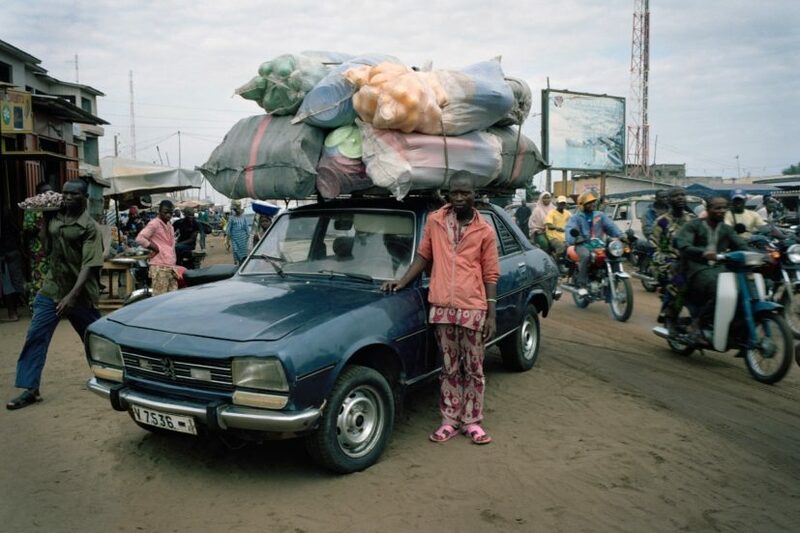 Hazoumè (1962), born in Porto-Novo just like Agbodjelou, drew on the same smuggling theme, yet approached it differently. He created installations of the oil vessels and vehicles, combining these with photographs. 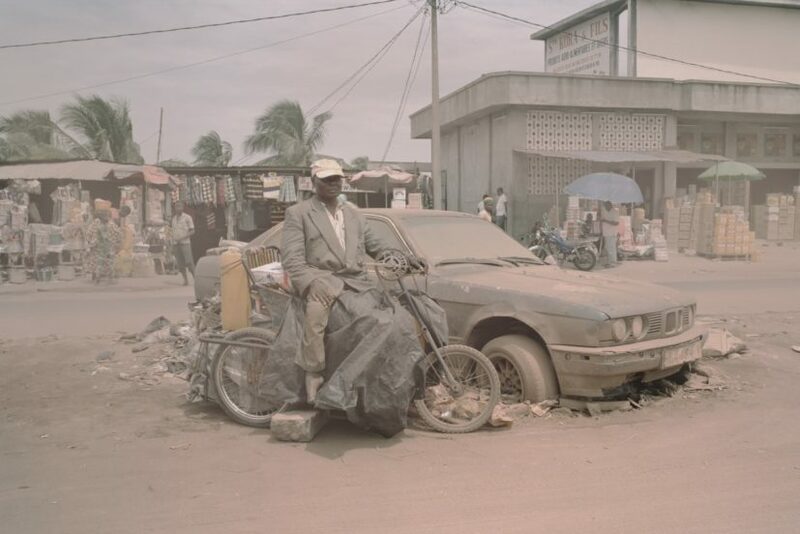 Agbodjelou’s camera captures the socio-political context of Porto-Novo from a contemporary point of view and offers a different perspective to the common images of African cities we see in the media. This is where Agbodjelou lives and grew up as the son of Joseph Moise Agbodjelou (1912-2002), Benin’s most well-known photographer. Borderlands is part of the series Citizens of Porto-Novo, his ongoing portraiture project that pictures the citizens of Benin’s capital, and has been preceded by astonishing series including Musclemen (2012), Demoiselles de Porto-Novo (2012), and Egungun (2011-12). Agbodjelou is the founder of the first photography school in Porto-Novo. His work is currently included in the group show Making and Unmaking: An exhibition curated by Duro Olowu at Camden Arts Centre, and is moreover on display at the Brooklyn Museum, New York and the Centre de Cultura Contemporania de Barcelona, Spain. Recent group exhibitions include: Pangea (2014), Saatchi Gallery, London, and Taylor Wessing Photographic Portrait Prize (2014), National Portrait Gallery, London.